Hi friends! It's my very last project share of the year here on the Doodlebug blog and I'm happy to share another fun little gift project I created for a special kiddo! 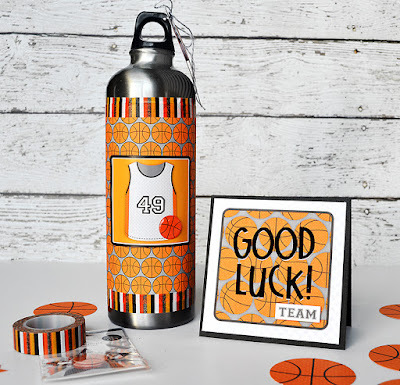 Basketball season is underway, so this decorated water bottle, and a little note of encouragement will definitely come in handy soon! 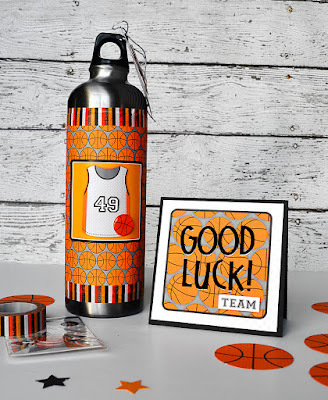 The Slam Dunk collection is full of coordinating goodies - it really makes putting together themed gifts and projects really (really, really, really) easy! Isn't the doodletape awesome? It's one of my favorite parts of these sports collections - and I love that it lasts forever - I can make projects for the whole season (or the whole team) with it!! I especially love these fun little shaped sprinkles - the basketball just looks like it's going to bounce right off the water bottle! I don't think anyone can ever hear nice words enough - so a quick little pre-game note of enouragement is always a good idea! This is just a 4x4 card mounted on a quick cardstock card base. I added letter stickers and one little sticker - quick and easy! 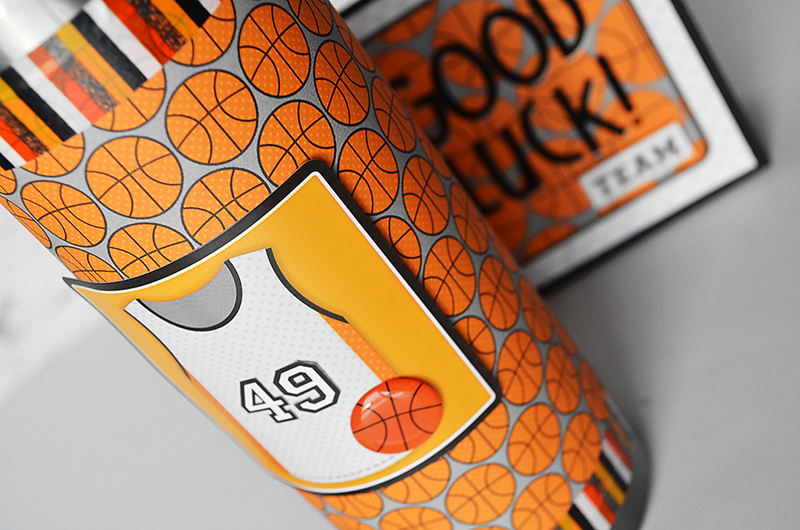 Couldn't pass up the chance to make one more little tag for the bottle! 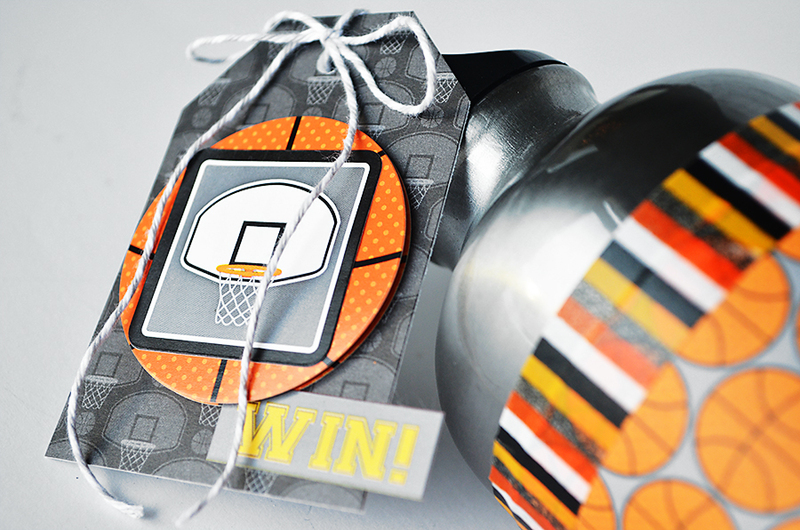 The doodle-pop basketball is darling! 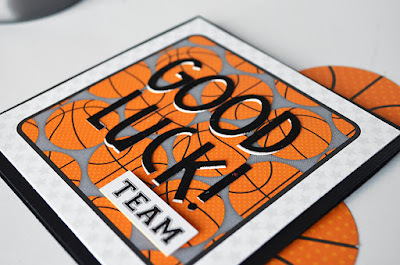 Thanks so much for stopping by the blog today - I hope you're finding lots of inspiration for all of the basketball players in your life! Thanks Mendi! I know, I'm going to miss all of you too...but I had to take a step back from some of my commitments for a bit - gotta focus a little more on some other things for a while. I hope I'll be back eventually (if they'll take me)!